Ask any fashion lover what it takes to truly make an outfit, and more likely than not they’ll tell you that it comes down to accessorizing—in particular, accessorizing with jewelry. 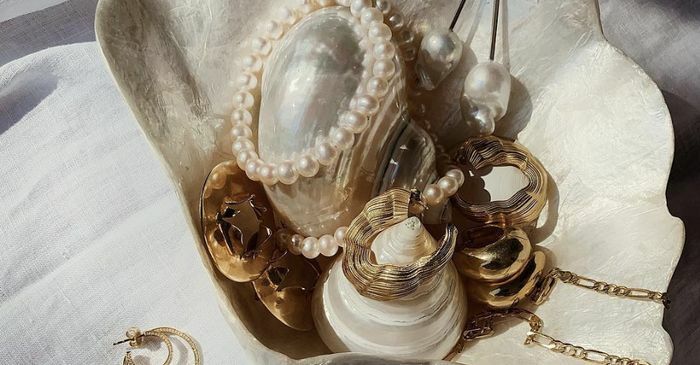 As the finishing touches to any ensemble, an artful curation of baubles can leave your look with that inexplicable cool-girl status we all know and love. And If you’re someone who practically lives in her trove of a jewelry box, knowing how to clean tarnished jewelry is essential for those pieces that start to look less than new. To officially ensure your jewelry doesn’t lose its sparkle, we tapped jewelry designer Ariel Gordon for her best tips for making sure your favorite pieces are always are as luminous as can be. “As with all fine things in life, you should take care to protect your jewelry. Moisture and salts encourage the appearance of tarnish, so keep jewels bone dry with a desiccant packet,” she says. Gordon advises not to store your jewelry in the bathroom for further prevention from tarnishing. You can also keep your pieces stored in individual Ziploc bags, which will not only help with any oxidation but also reduce tangling and scratches, she shares.